I’m a big fan of juicing and smoothies with fruits and veggies but, I tend to take a break during our cold winters. But, spring is here and the citrus is so sweet and juicy we’ve been going through them by the segment or in our juicer. 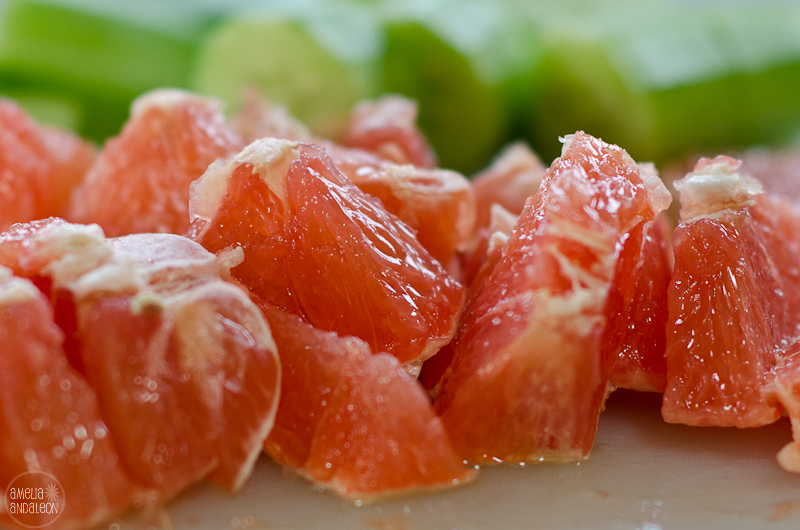 We’ve been on a cara cara kick but, now I’m loving the grapefruits which are delicious! I was prepping this grapefruit and cucumber and had to take a pic before throwing them into my Krups juicer. So refreshing…and pretty!! !